Who doesn’t love the undeniable feeling of, well, okay, it’s smug, when someone admires a piece in your home that you picked up on holidays? If you got that piece at a best-kept-secret type emporium, at one of the independent interiors shops that you discovered on your travels, and carefully carried your booty home, you get extra in-the-know points. With 55% of the Irish population holidaying at home in 2017, that got us thinking about our own hidden décor treasures. So, when you might be taking off on a trip around the country, House and Home wanted to shine a light on the best Ireland has on offer. Enjoy our round-up of the crème de la crème of independent home and lifestyle emporia. These are the destinations with the best brands, plus the added extras – from wine bars and coffee pop-ups to meet-the-maker demos, creative classes and even live music sessions. Go south (west) to discover five fabulous destinations. Stretching almost the length of the street, Objekt Design Space is hard to miss and a smart rest stop for interiors inspo as well as a good cup of coffee. Interior architect Aoife Hayes opened the store in 2006 and now stocks contemporary furniture and lighting by Kartell, kitchenware by Alessi, Josephjoseph and Klevering, rugs by Missoni Home and accessories by Iosis Paris and Present Time, plus much more. “I love the Uncle Jim and Uncle Jack seating by Philippe Starck for Kartell we have instore: revolutionary techniques in moulding technology and materials, yet it looks ultra cool.” For luxury with an art deco sensibility look to Dutch range, Eichholtz, while Cattelan Italia has mid-century style with a touch of Nordic cool. Go to: Discuss your home or office project with Aoife over a glass of vino at the store’s wine bar. Leave with: A throw from the Disney collaboration with Munich brand, Zoeppritz Since 1828. Clocking in at a note-worthy 14,000 sq ft, the selection at Browsers Interiors runs the gamut, with furniture from Flamont, fabric and wallpaper from Zoffany, as well as soft furnishings, art, accessories, textiles, flooring and paint. The handcrafted heritage-style Tetrad collection of sofas and stools have proved a popular choice, while Polish SITS furniture has a clean minimalist appeal. The first floor is a dedicated Neptune showroom with three fully-fitted kitchens, two bedrooms, a bathroom, an accessories hall and a dedicated design space for private appointments. The top floor is home to the Design studio and is full of customised furnishings and art deco pieces. Truly a one-stop shop, Browsers works with a local joiner to create bespoke furniture, offers a curtain and cushion making service and has on-site paint mixing from Little Greene paint and the Paint Library. Go for: One of its regular interiors and networking events. Leave with: A hand-crafted armchair in Irish designer Aoife Mullane's lustrous prints. 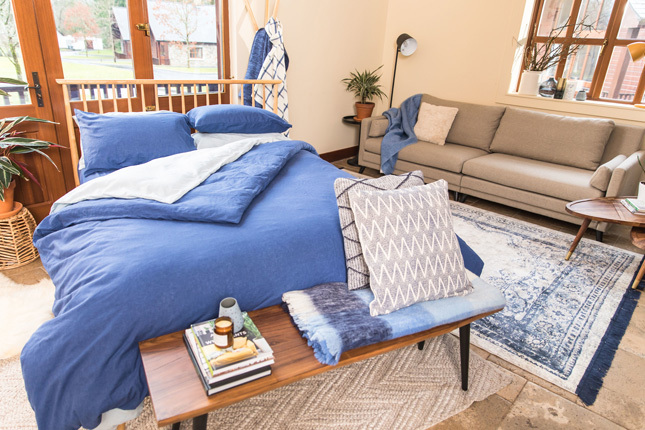 Tired of the 'sameness' offered by the mass market, interior designers Nicole Mc Gee and Caroline Breen decided to open Interiosity in 2015 in a woollen mill in Douglas, Cork. 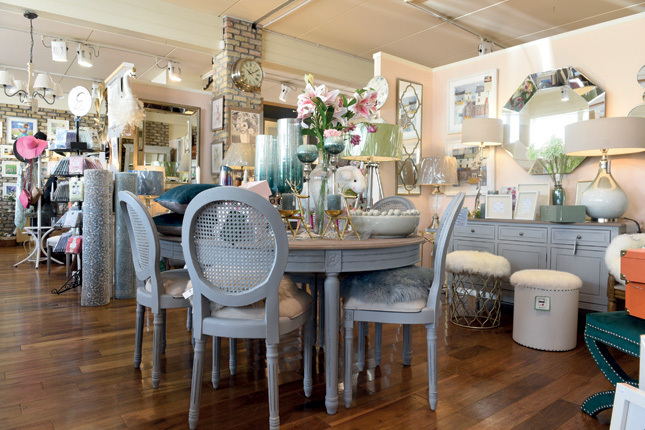 The mill's original limestone walls and sprinkler system provide a character-filled canvas for the store's mix of furniture, lighting, art, mirrors, kitchenware and accessories. “We love the clean and simple style of Scandinavia where nothing has to match, but that works together and is easy to live with,” they say. Designer influences come courtesy of Le Corbusier, Frank Gehry and Eileen Grey and buying trips to Birmingham and Paris have yielded an interesting mix of brands such as Dutchbone and Zuiver – exclusive to the store in Cork – and Durance, a range of heavenly home fragrances from Provence. The store is also the exclusive stockist of the exquisitely crafted John Sankey Sofas – the fabrics are worth the trip. Go for: The free in-house interior design service. 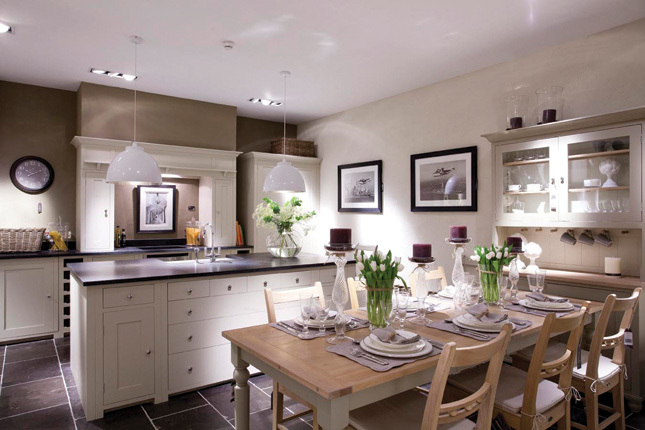 Leave with: A pretty china piece from new range, Sophie Allport. Claire Graham and husband Tom named their store for the building where they live and work: an old grain mill. “Our retail space was a general grocer’s which was semi-derelict and closed up when we bought it so we're delighted to have brought it back to use as a shop,” she says. 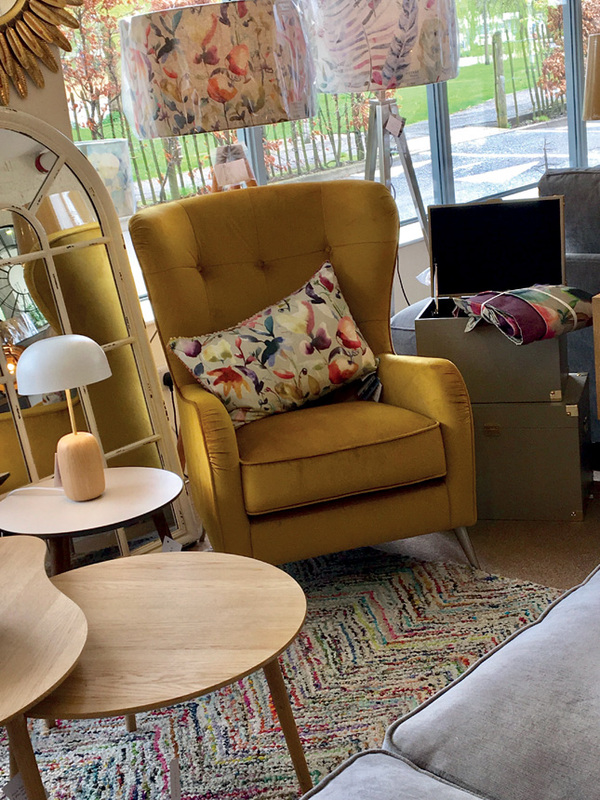 A smorgasbord of soft furnishings, lighting, furniture and art is on offer with cushions from Denmark, Belgium and South Africa, Icelandic and Dutch rugs, Irish prints and French table linen. “We source our products from independent designers, local makers, heritage brands and Fairtrade artisans and we have a particularly strong family connection with Copenhagen and Amsterdam.” Irish representation is strong, too, with handmade Baressential soaps, Clean Slate candles and toasty Grange Craft wool socks lining the shelves. A gallery-style design show is set to take place later in the year and cafe may be on the horizon. Go to: See what the fuss is about. 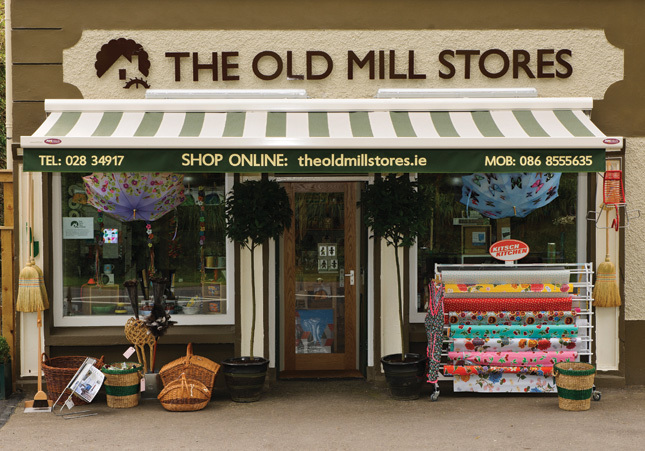 The Old Mill Stores has scooped several awards including Independent Retailer of the Year 2017 and The Irish Times Best Homewares and Design Shop 2016. Leave with: A quirky linoprint from Donegal-based designer, Lynn Costello Erskine. 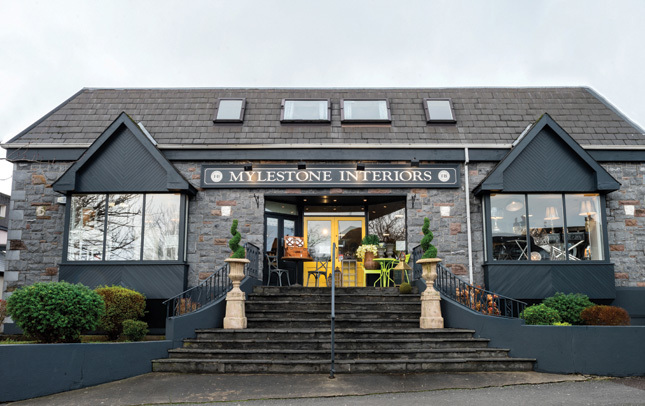 For those overwhelmed at the prospect of a large interiors project, advice, expertise and inspiration are in abundance at Mylestone Interiors in Killarney. 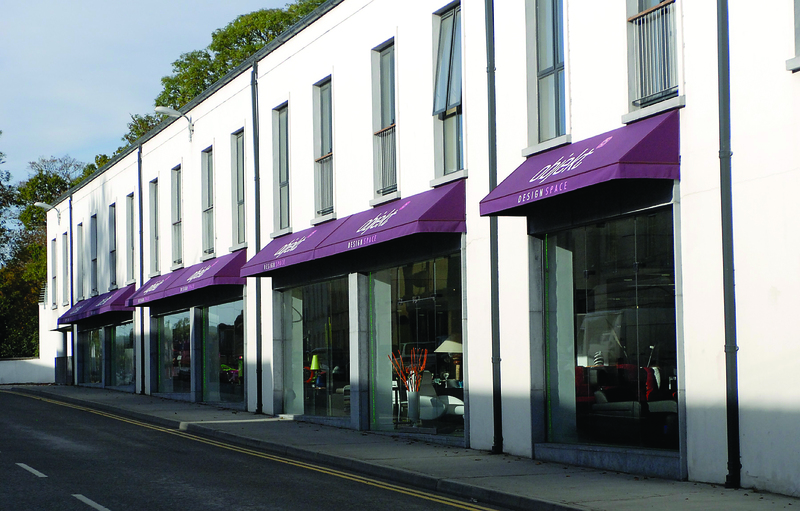 With a background in furniture design and manufacturing, Patrick Darmody took the company into retail in 2009 and today the showroom has numerous room sets displaying its wide range of furniture, lighting, accessories paint and wallpapers, fabrics and curtains. Go for: The extensive and exclusive range of rugs from Belgian makers Louis De Poortere and Swedish company, Chhatwal and Jonsson. Leave with: A Mad Men-esque drinks cabinet in wood and chrome. Try these brilliant browses in the east of the country on for size. Don't be fooled by the location because inside a rather ho-hum retail park lies a veritable wonderland. 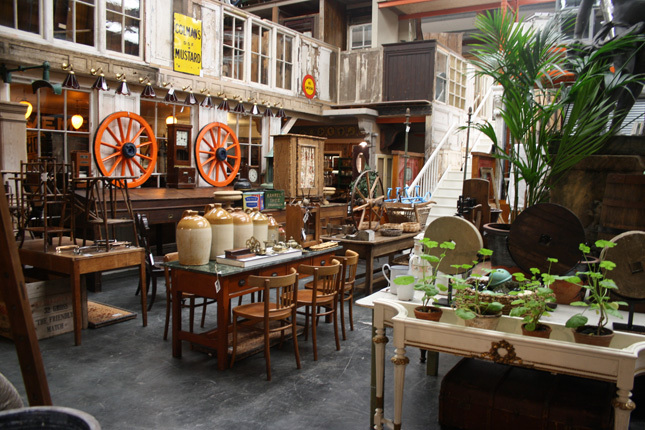 The Store Yard was opened by avid antiques and architectural salvage collector David Keane in 2010 and thanks to a couple of appearances on the BBC's Antiques Road Trip, it now has an on-site interior designer, a staff of 20 and is home to the town's most popular restaurant. Dubbed 'purveyors of the unusual', expect to find mid-century furniture, exquisite rugs and stunning lighting alongside garden statuary and architectural and decorative salvage. This assortment has caught the attention of the film world and the store has provided pieces for Penny Dreadful, Ripper Street and The Lost City of Z. Fashion fans are in for a treat too with vintage and designer clothing and jewellery waiting to be discovered. No surprise then that it romped past 30,000 entries to win The Irish Times Best Shops Award in 2015. Go for: The excellent home cooked fare in Tynan's restaurant. Leave with: A vintage Luci brass and Murano floor lamp. French woman Carole Thomas and her husband, Stephen Flavin, set up A La Campagne in 1997 in Wicklow. Over 20 years and two moves later, they are now in a cosy redbrick on Gorey's main thoroughfare. True to form, the store has a French country feel with elements of shabby chic or a coastal vibe depending on the season. Dressers, farmhouse tables and an old armoire have been called upon to display the Tweedmill pure wool throws, La Bougie candles from Cork and charming homewares from Gisela Graham. “Hanging out of the ceiling, there is an olde world wooden clothes dryer with pots, an enamel colander and sieves. On an iron and wood slat table we have a range of kitchen accessories including enamel teapots and espresso coffee makers. We even have an old freestanding shelf unit from the GPO in Dublin with a range of retro toys on it,” they say. Look for: The old-fashioned bike painted in baby pink outside the shop, making it an easy spot. Leave with: Greeting cards handmade by Carol and Stephen's 15-year-old daughter – but hurry, they're a popular pick. Drawing Dublin designer style beyond the Pale was the intention behind Ode, according to owner and interior designer, Stephen Carroll. Located in the heart of Navan in a former bank, Ode is a playful mix of Scandinavian-designed tableware, lighting, accessories, furniture and soft furnishings mixed with lovingly restored mid-century furniture and original Ode art. “The influence behind the shop and café is Danish design, particularly the warm, welcoming feel of hygge.  We stock tableware and home accessories from Danish brand House Doctor, bowls and plates from Swedish brand Pols Potten, home accessories from UK brands Cubic, Quail and RJB Stone,” Stephen says. 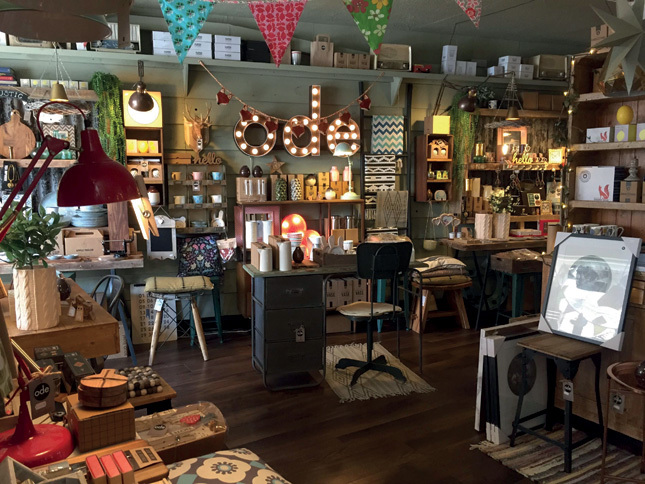 Irish artisans also make the grade with A&J soy wax scented candles, Puddles and Belle greeting cards and The Bearded Man home and grooming accessories made locally from sustainably sourced walnut, ash and beech. The Ode Coffee Lounge, located beyond a small courtyard directly behind the shop, is a serene hideaway where customers can enjoy home baked treats, soups, salads and gourmet sandwiches. Go for: The exclusive range of Superliving Danish bone china tableware. Leave with: Thanks to pester power, a handmade cuddly toy from Sligo company, Studio Medlock. 26 Kenyon Street was originally a hardware store run by Margaret Corscadden's mother and father. When she returned home to live in Nenagh the store was vacant. Following buying trips to India, Vietnam, Paris and the UK, in 2009 Margaret took the plunge and opened Twenty Six. 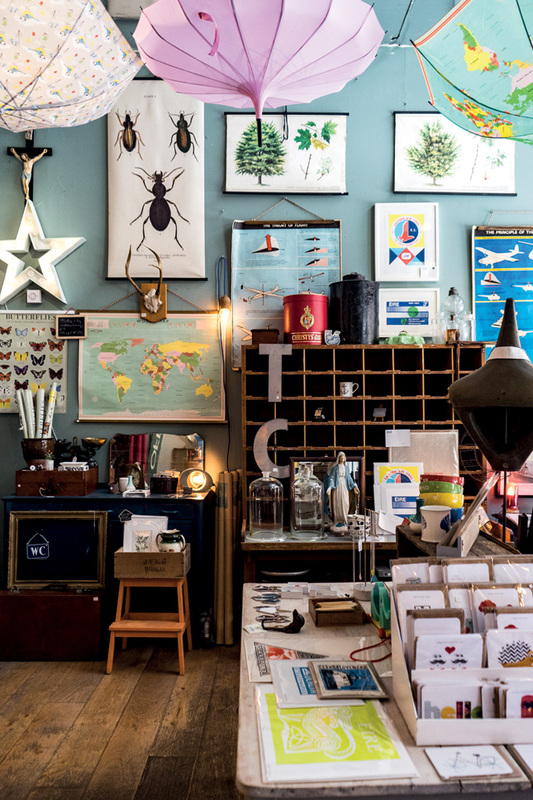 Now it's a destination shop for the chalk paint enthusiast and up-cycler as well as those browsing for delicate tableware from Pip Studio, painterly printed floral cushions from Joules and off-beat dinosaur lighting from Origami. Margaret's eye for a special piece is evident from the shop floor: “I spent a year with the Institute of Professional Auctioneers and Valuers studying Fine Art and Antiques and our shop fittings are mainly vintage finds. Our counter is an old haberdashery counter from one of the oldest shops in Nenagh,” she reveals. Go for: The Anne Sloan chalk paint workshops which teach transfer image, decoupage and gilding techniques. Leave with: A framed signed giclée poppies print from Irish artist, Annabel Langrish. Hell, you won’t want to miss this fab four. 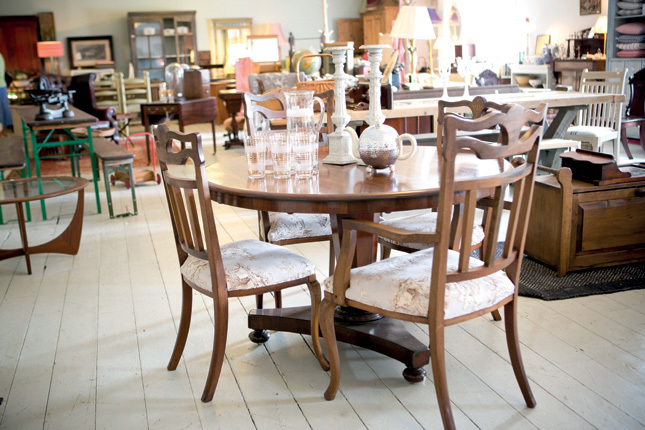 All eras and ages are covered with Georgian, Victorian and Edwardian pieces as well as mid-century finds from Ercol and G Plan. Clodagh is the third generation of her family in antiques and her father does all the couple's restorations and repairs. She's also an interior designer with an enthusiasm for chairs that Sean is trying, but failing, to curb. Bamboo and wicker are next on her lust list. Go for: The Chair Affair workshop. Revamp a tired chair with a lick of paint and new upholstery, and all materials are provided. A not-for-profit craft and design gallery, the Leitrim Design House is located in The Dock, a 19th century courthouse overlooking its namesake waterway in the heart of Carrick-on-Shannon. 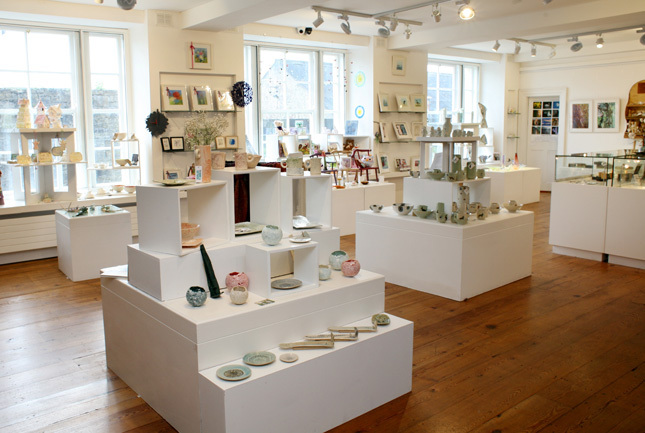 The gallery showcases a distinctive range of Irish-made fine art, ceramics, glass, prints, metal, wood, jewellery, textiles and paper-craft, much of which is specially designed for the space. Workshops, demonstrations and meet-the-maker events connect customers with creatives and new product development workshops mean talent is constantly being fostered. Little wonder that the gallery has been recognised as a model of best practice by the Design and Crafts Council of Ireland and was shortlisted as one of the top ten best gift and design shops in the country by The Irish Times readers three years in a row. Go for: Expertise. In-house artist, Laura Gallagher, offers advice when considering a buy. Leave with: A one-of-a-kind piece. Work can be commissioned through the Leitrim Design House and an instalment payment plan makes art and objects accessible and affordable. Love a landmark? Lifestyle store Foxford is tucked into the titular woollen mill established in 1892 and now one of the last working mills in Ireland. Renowned for its woven goods, Foxford has collaborated with Helen McAlinden to design its range of throws, scarves and cushions with a colour palette drawn from the Irish countryside. Go for: Lunch in the cafe, where only local produce is used, followed by a tour of the working mill. Leave with: A little piece of history. The Foxford Michael Collins throw commemorates the travel blanket gifted to Collins in 1922 by Foxford to mark his appointment to Commander in Chief. The blanket was in his armoured car at the ambush at Béal Na Bláth. 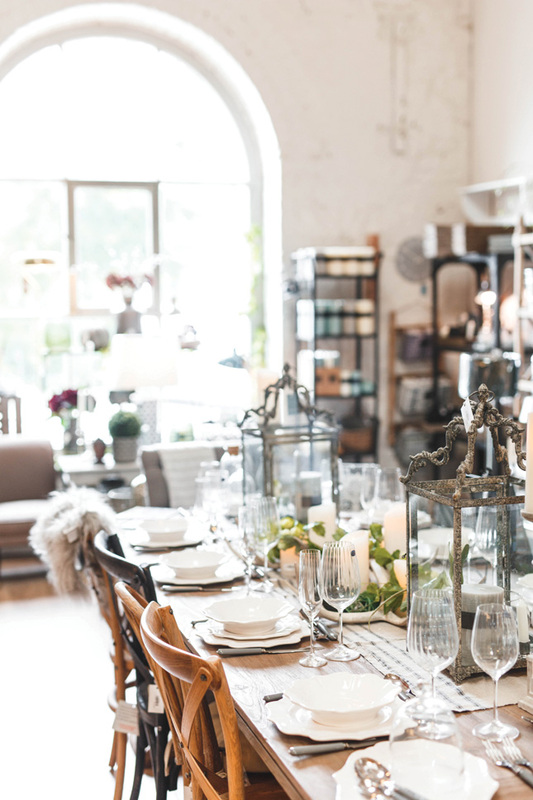 It's safe to say that Town and Country Interiors store has 'gently' evolved from its original incarnation as a general merchant hardware in the heart of Athleague Village, just outside Roscommon. Operating from 1863 to 1970, it sold everything from groceries and horse-drawn machinery to undertaking supplies, and the cut stone outbuildings to the rear housed coffins and sheep’s wool. In 1994, Patricia and Aidan Donnelly restored the listed townhouse, and many original Victorian features can be seen in their expansive store. Amongst the mix of lighting, mirrors and rugs are Irish brands Uneek's tongue-in-cheek home accessories, vibrant prints from Vera Gaffney and pottery from Paul Maloney in azure hues. Local craft is on display too, with slate mirrors, wooden kitchenware and handmade soaps and lotions to sample. 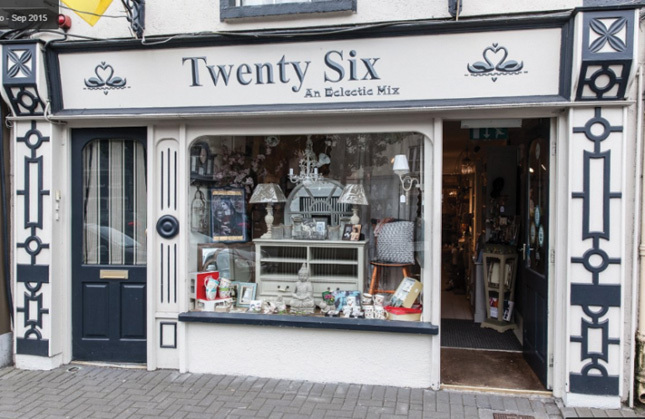 Go to: See what a National Tidy Towns-winning shopfront looks like. Leave with: Full stomachs. In 2008, the couple added Le Petites Tartres café and restaurant which has since won several awards. Enjoy shopping at these capital treats in the nation’s metropolis. The busy Dublin 4 store serves as a soft furnishings showroom where consultation is the core of the business. Along with Maison et Objet, Salon de Mobile and Decorex, Julianne travels as far afield as San Francisco and Dubai to unearth exciting fabric, wallcovering, trimming and carpet collections. This season she’s favouring American designer Kelly Wearstler's uninhibited aesthetic, intense colours, graphic prints and luxe textures, but knows the importance of the smaller details. Go for: The exclusive range of Hermès home furnishings. Leave with: A pair of TruTru Stories cushions by Irish designer, Trudy Feighery. Beginning as pop-up shop on Baggot street, owner Zoë Carney transformed a derelict college into Home Studios Dublin, a creative hub of art studios, workshop, offices and event spaces – as well as The Velveteen Rabbit showroom. “It’s in a former classroom and has the feel and sensibility of a vintage market, leaving a visitor free to wander amidst our collection,” she says. An enticing blend of old and new furniture, objects, lighting and art sourced from antique fairs, flea markets and auctions across China, France and Hungary await. “I'm head-over-heels for anything Chinoiserie, like painted screens, lanterns or hand-painted furniture. We ship in some incredible pieces from India: they are exotic, colourful and bring a playfulness to the showroom. 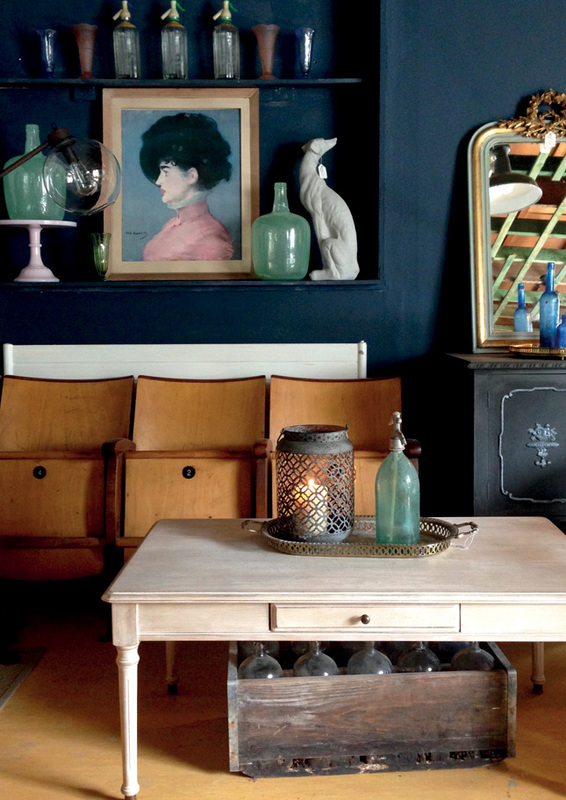 In France, they do faded grandeur unlike anywhere else,” Zoë enthuses. New lines and labels are also available, among them Swedish brand Rebel Walls: wallpaper and murals printed to order. New collaborations are in the offing, too, as Carney and her partner are set to launch limited edition prints soon. Go for: A statement-making emerald green velvet armchair. Leave with: An appointment for Carney's new Room Styling service. 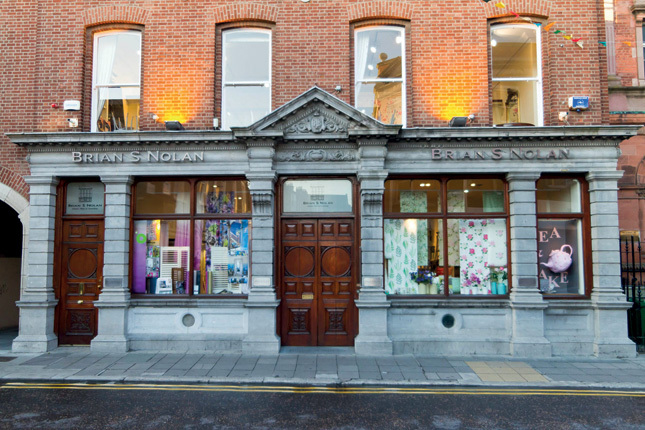 Brian S Nolan's expertise can be traced back to the days of the Belfast Linen Company where he began his career in 1949. 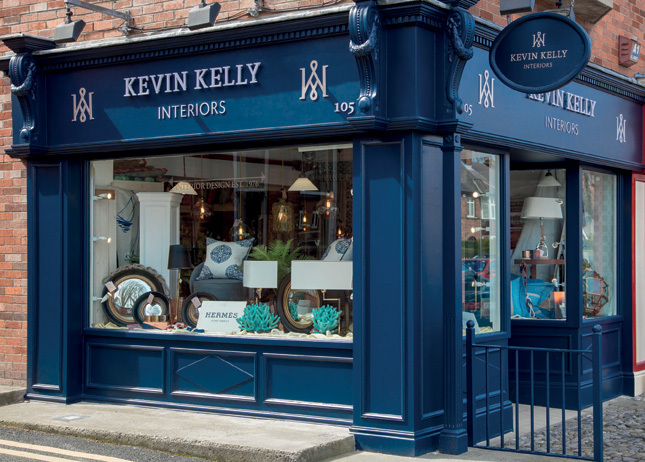 Today, his store in the old Royal Bank of Ireland building in Dun Laoghaire is one of Ireland's largest family-run furnishing businesses. An extensive redevelopment in 2007 doubled the size of the premises and it has become the go-to destination from professional and novice alike with a team of furniture fitters, curtain-makers and interior design consultants whose skills have been deployed in designer hotels, show houses and homes both at here and abroad. The range of fabrics, wallpapers, trimmings and paints – from 'off the roll' to high end designer – is incomparable and it is not uncommon to lose an hour or two flicking through the sublime selection from Designers Guild, Art and Soul and Nina Campbell. Go for: A browse around its art gallery featuring works from Asta Kelly, Colm Brophy, Karl Jordan, Gina McKenna and Nora O’Hanlon. Leave with: Sweet treats from the White Tea Café on the second floor, baked daily on-site. Original, organic and Fair Trade are the principles behind Sandymount store, Mira Mira. “I worked for a short time in Nepal with manufacturers and saw first-hand how beneficial investment in communities and their skill sets can be. As a result, I ensure I work with companies that have an ethical trading policy, that there is no child labour in manufacturing and that sustainability, environmental impact and quality are central to their ethos,” explains owner Bronwyn Thomson. Her travels have influenced her taste, which she describes as eclectic. “I love colour and pattern so it's pretty crazy sometimes.” Lifestyle plays a part too and since becoming a mum, the store's offering has moved from soft furnishings, lighting, gifts and occasional furniture – “mostly reclaimed wood and metal pieces from India” – to include children's bedding, clothing and toys. 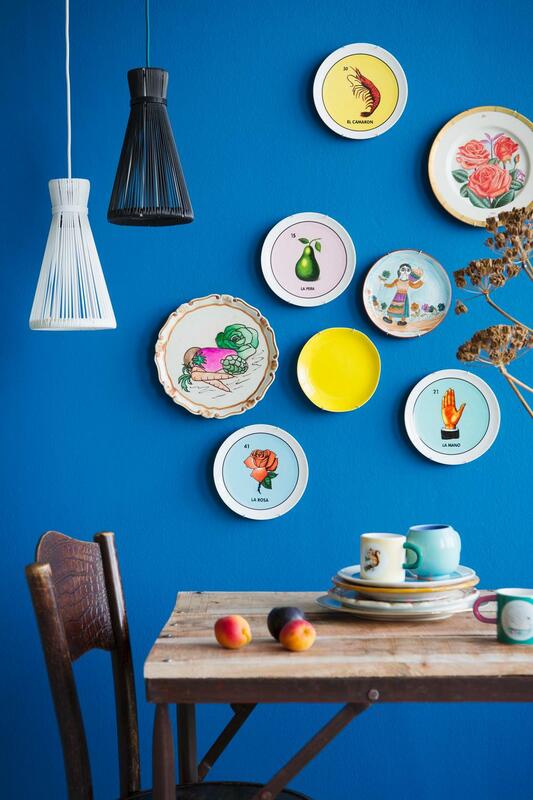 Go for: Quirky lighting in Crayola brights from Kitsch Kitchen, a Dutch brand with a distinctly Mexican flavour. Leave with: A retro wall hanging, like the Loly Sweet print by Taiwanese illustrator Chichi Huang, that will appeal to kids, big and small. A proponent of the reduce, reuse, recycle mantra, Naomi Hanrahan believes how we live is as important as how something looks: “I’m quite inspired by Stella McCartney’s clothes recycling and the anti-plastic movement. Find’s philosophy is to champion vintage interior pieces whilst also supporting local designers and artists with our Irish design initiative. 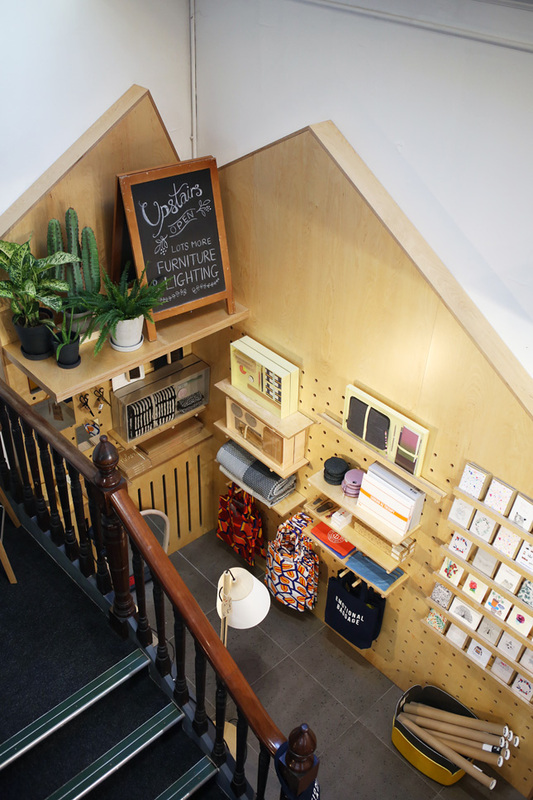 The shop is located on Cow's Lane, a pedestrianised area that was created to open the historic West End of Temple Bar and inside, Scandi-inspired Kaiko lights sit next to Alanna Plekkenpol tiles, Marie Varley screen prints and a G Plan Astro table and 1930s Director's Chair. Find's enticing inventory is sourced at antique fairs as well as through Hanrahan's network and she is keeping her expert eye out for 1930s filing cabinets and desks. Go for: A wander among this mesmerising collection of art deco mirrors, taxidermy and apothecary items. Leave with: A vintage soda siphon for that bar trolley you splashed out on last year. Get some northern exposure to these amazing independent retailers. From humble beginnings in Brian and Siobhan Farthing's garden shed, A Broader Picture now sits on Portstewart promenade overlooking the beautiful Atlantic Coast, with daughter Hannah and son-in-law Steven on board, too. A major refurbishment earlier this year has created a bright, spacious interior with a feature wall created by a specialist plasterer. “This has given us the opportunity to expand our range of furniture and lighting. We’re awaiting a delivery of sofas, a new offering for the shop which we are very excited about,” explains Hannah. 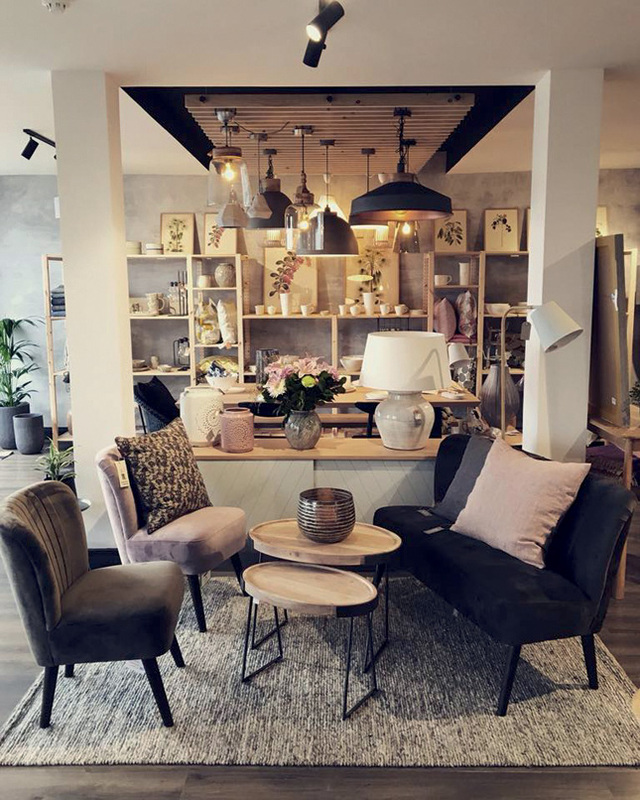 Buying trips to France, Sweden and London have yielded a diverse range of soft furnishings, ceramics, gifts and furniture and Irish brands are front and centre. “With so many visitors to the north coast, it’s great to be able to offer beautiful throws and scarves from McNutt of Donegal, candles from Field Apothecary and artwork by Piera Cirefice, a recent addition to the shop,” she says. Go for: The relaxed chic dining collection from Belgian range, Vincent Sheppard. Leave with: A hand-woven rug from Linie Design. 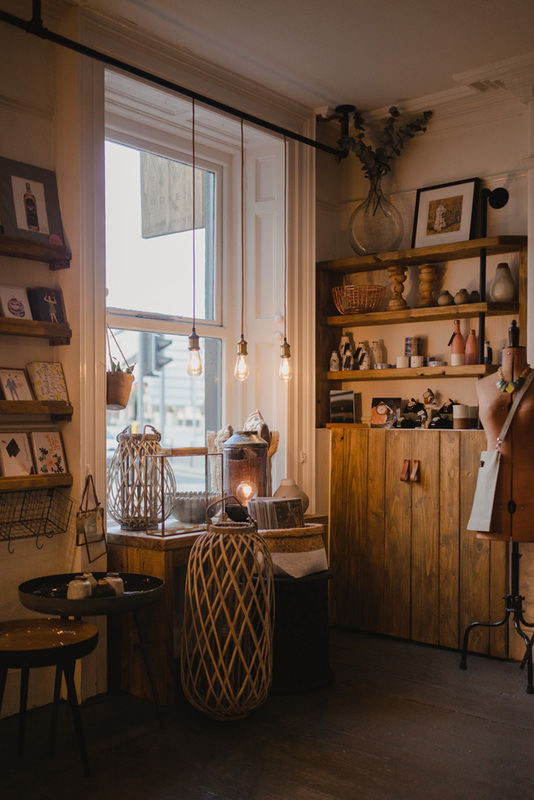 Soft furnishings, textiles, lighting and plants are also on offer with an array of Irish makers including ceramics from Arran Street East and Rebecca Killen, Candella candles, oils and pastel artworks from Belfast-based artist Aly Harte and simple, spare pieces from Isle jewellery. Go for: The new clothing collection from a local fashion designer specialising in Irish linen. Leave with: A hand-drawn illustration from designer-maker Lisa Dodds of White Chalk Studio. Maven was opened by sisters Catherine and Patricia McGinnis in November 2013 in a red brick Memorial Hall just off Belfast’s Lisburn Road. “The building is not a typical shop, we don’t have a shop window as such, so customers know from the minute they see it that they are getting something different when they step inside,” Patricia tells us. “We focus on contemporary but not clinical products. Too often, people think contemporary has to be cold but we like to surround ourselves with comfort and cosiness.” Brands like Hay, Ferm Living, Skagerak, Marimekko and Muuto sit cheek to jowl with a considered range of Irish products including lamps, mirrors and furniture from Donna Bates Design, Kathryn Davey textiles, and prints from Caman & Co. Their appreciation for Irish design pays off. “We just recently finished work on an incredible interiors project for a private client,” Patricia reveals. “Their brief was that everything in the house should be made in Ireland. The only things that stumped us were saucepans and door handles!” When your shopping need is sated, enjoy a brew from local coffee roasters, Bailies Coffee, which regularly runs a pop-up brew bar in-store. Founded by Richard Gillanders and Tanya McIntyre, Mantra Living overlooks Monaghan's pretty Swan Lake. Initially a furniture manufacturer, it now focuses on interiors and commercial projects, stocking soft furnishings, wall coverings, paint, furniture, lighting and textiles. “In recent years, we’ve seen consumers looking to invest in furniture and furnishings that are built to last. Through our joinery facility, MAKER, we can manufacture bespoke pieces of furniture,” they say. Style meets substance here with a compelling mix of brands: from the unusual (the Danish Cozy Living concrete dining collection) and the environmentally responsible (covetable stainless steel water bottles from Swedish range, Glacial), to the traditional – grandfather clocks from local maker, James Stewart and Sons. Designer collaborative French brand, Harto, is one worth making a detour for and the Gaston wall-mounted secretary desk in oak with matt lacquer and leather tongue detail will add serious swish to your home office. 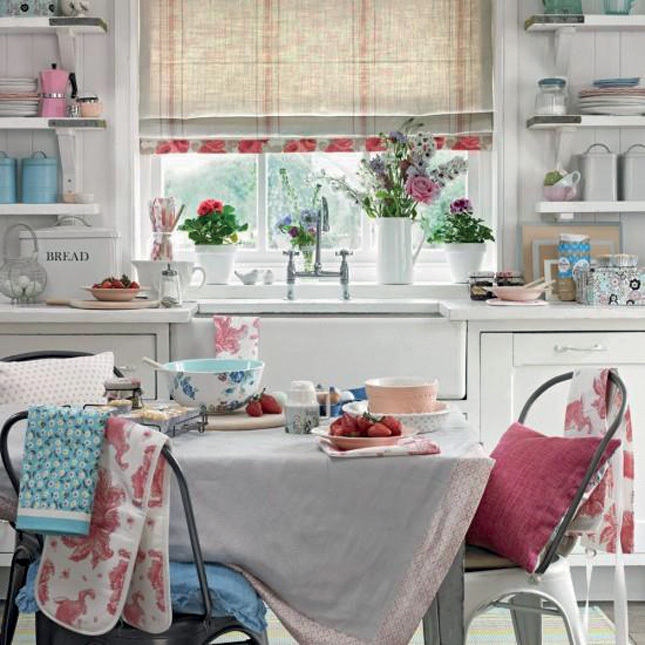 Go for: A one-on-one Annie Sloan chalk paint session with store tutor, Louise. Leave with: A set of unexpectedly comfortable Franky barstools from Dutchbone. Have your say! Have you got a favourite interiors destination you love to shop at? Tag us on Twitter @houseandhomemag or on Instagram @houseandhomemagazine using the hashtag #HouseAndHomeShops - and tell us the independent shops you love to visit on your travels!